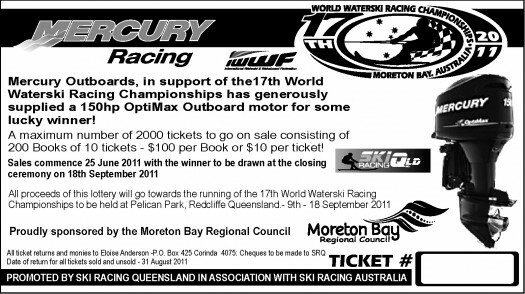 In a generous and warmly received donation towards the success of the 17th World Water Ski Racing Championships, Mercury Outboards have generously donated an $18,000, 150hp Mercury Optimax Outboard motor, for someone to win ! There are a maximum of 2000 tickets to go on sale @ only $10 a ticket, or $100 for an entire book of ten. The winner of this fantastic prize will be drawn at the World Titles Closing Ceremony on September 18th. All proceeds will go towards the running of the World Titles, which are proudly sponsored by the Moreton Bay Regional Council. Many of the Australian Team Members also have a book of tickets to sell. 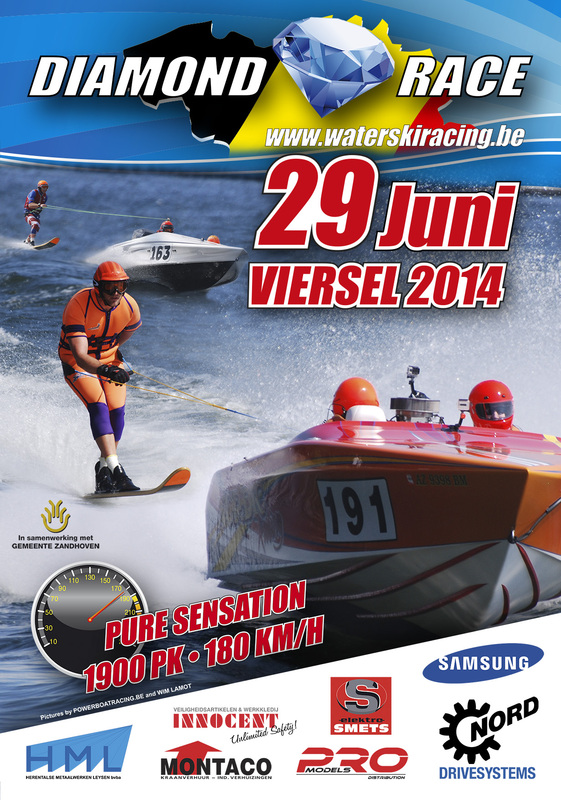 The 17th World Water Ski Racing Championships will be held @ Pelican Park, Redcliffe, Qld, from the 9th – 18th September.